PLUS SUPPORT & BOAT PARTY MAY 17th @ OZONE ATHLONE. After the super positive feedback of last year's classics, Luminosity plan to have a classics stage on all four days of the event! Super exciting! 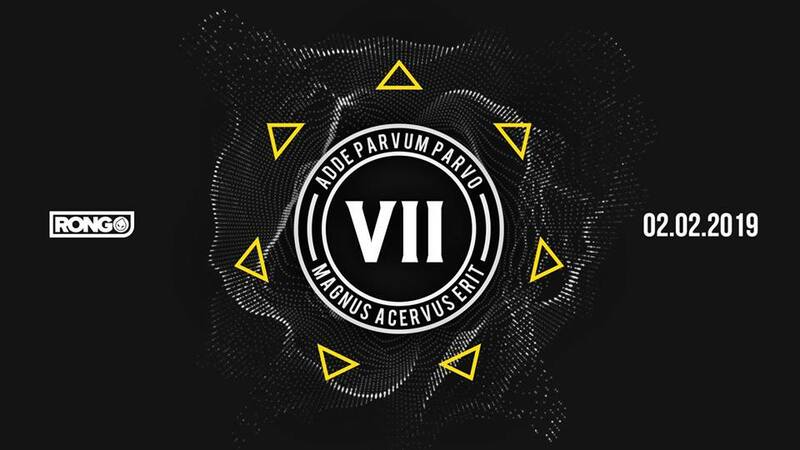 Signum (Classics) John O’Callaghan, Gareth Emery, Giuseppe Ottaviani, John Askew (10 Hour Set), Greg Downey, M.I.K.E. Push, Scott Bond, Cold Blue, Factor B, Paul Denton, Project 8, Shugz b2b David Rust, Mario Piu, The Space Brothers plus many many more. 4 Day Early Bird Tickets 90% SOLD OUT!! We Come One proudly presents. 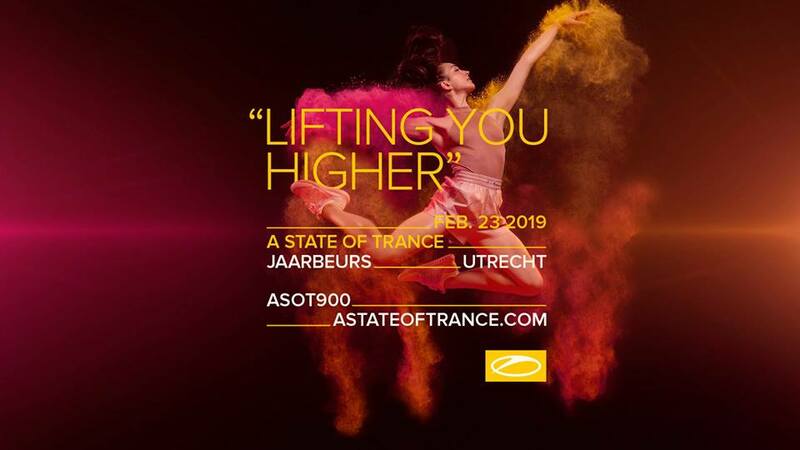 Armin van Buuren has unveiled the full line-up for the highly anticipated event in Utrecht, the Netherlands on 23 February 2019. +More artists will be announced soon! More Info & Line Up Announced Soon! This is the weekend. This is your release. This is the music. This is the underground. This is loosing your inhibitions and living out your dreams and your fantasy. This is the destination. This is freedom. This is the Future. This is Liberation. 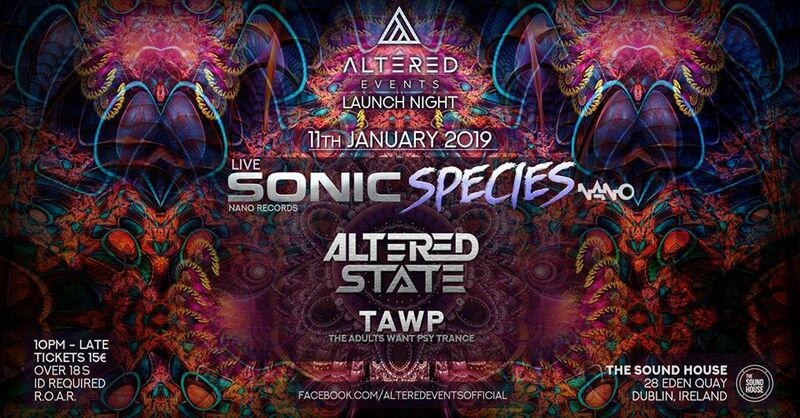 Altered Events Official Launch night presents Sonic Species. Ready to Reach for the Lasers this December? 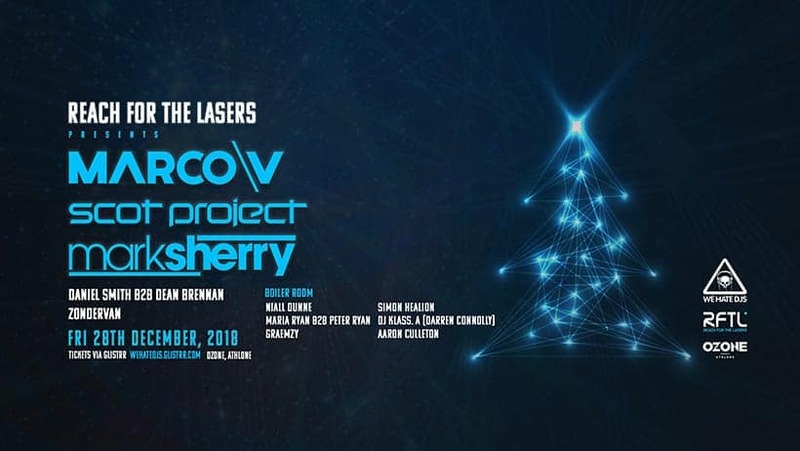 Trance legends Marco V, Mark Sherry & scot project jet into Ireland on December 28th for a festive knees-up at Ozone Athlone with We Hate DJ's and RFTL. 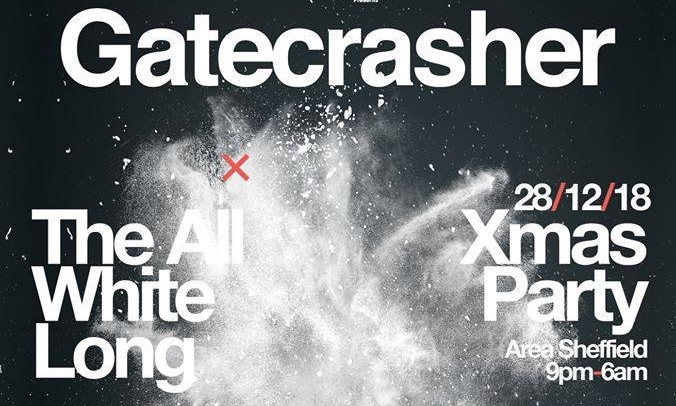 Gatecrasher are pleased to announce that they will return to the spiritual home of Sheffield for the final 2018 event with their infamous White Party on Friday 28th December at Area Sheffield! 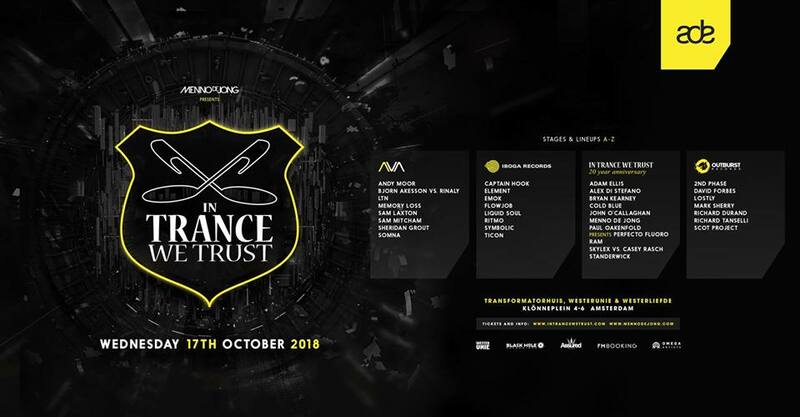 The festive event, which will see Area Sheffield decked out in a spectacular fashion will also feature a huge line up of the who's who in trance music across 3 rooms of music. Running from 9pm right through until 6am, we welcome Subculture boss; John O'Callaghan who will be taking to the decks in Arena One for this huge show on Friday 28th December. As an artist, producer, DJ and an internationally respected name in the world of Electronic music, John O’Callaghan has long pushed the boundaries of musical genres in ways that have earned him a stellar reputation across the dance music industry. 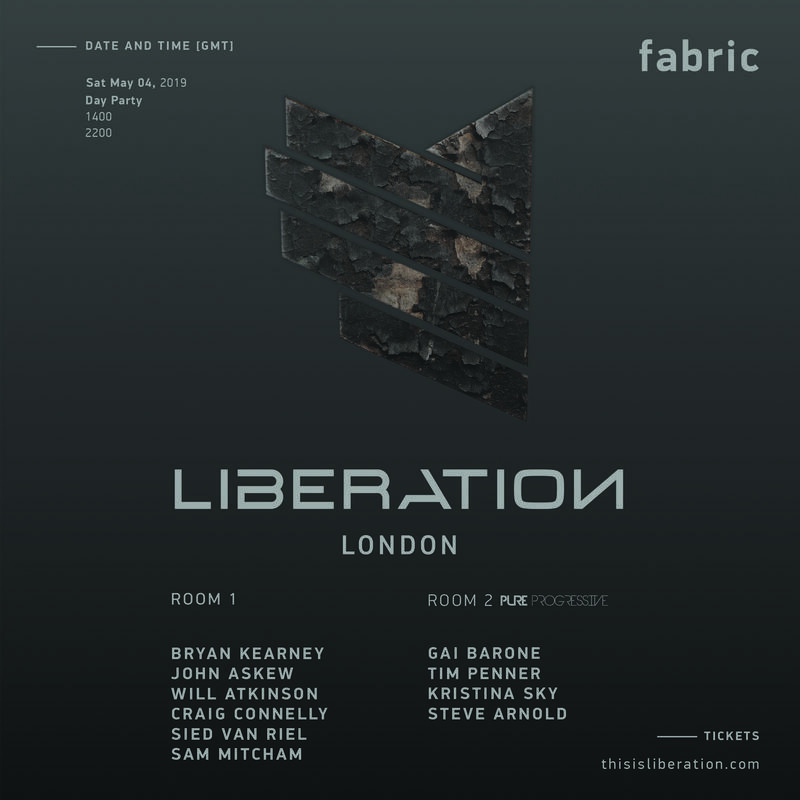 Next Up, Gatecrasher are pleased to announce Bryan Kearney is set to join the Line Up. A dedicated and driven individual with a relentless passion for all things energetic. A talented technician that has continued to climb through the ranks of global dance music to truly establish himself amongst the DJing elite and has become a firm favourite amongst fans. 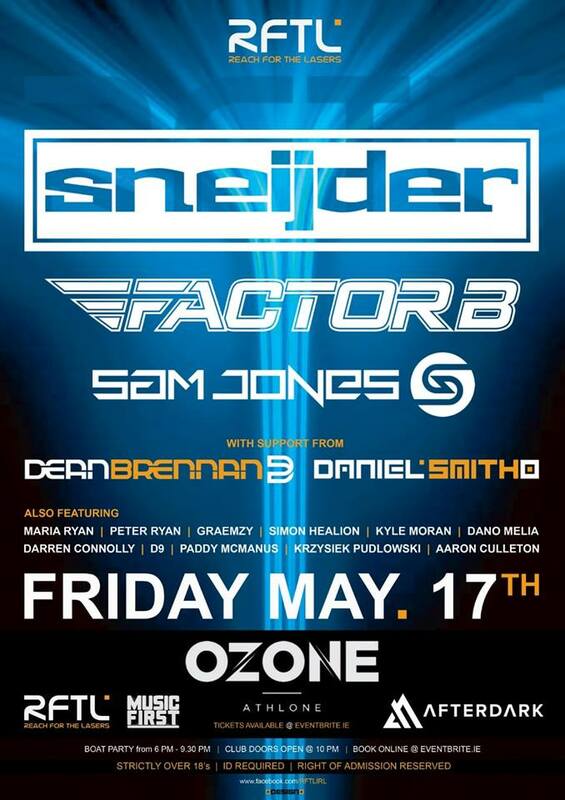 Australia's very own Factor B will be joining the Arena One line up and after having firmly established himself as one of the fastest rising talents of uplifting trance, taking away the 'Best Newcomer' to trance in the 2016 Trance Podium Awards, it's no surprise his popularity has soared and he has become a firm favourite with the Gatecrasher faithful. Gatecrasher's very own Scott Bond will also be on deck duty in Arena One alongside Cold Blue & Paul Pearson. Arena 2 we welcome Matt Darey; one of the most important figures in the development of Trance music alongside Radio 1 Legend & stalwart Judge Jules. Signum, Shugz & Ciaran McCauley have also been announced but fans will also be excited to hear, there is still loads more yet to come. Early Bird Tickets Now On Sale for this event, buy now to avoid disappointment! 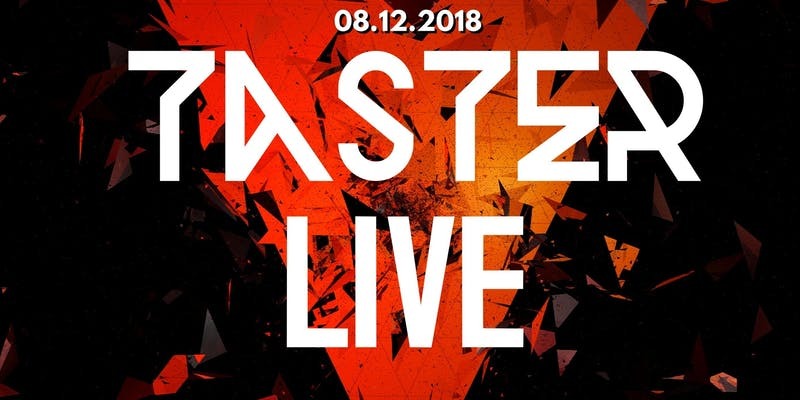 Auditory Recordings presents Taster Live! with Linnea Schossow & Orla Feeney with Special Guests JES , Marcus Schossow, Susan Mcdaid and Niall Dunne. 8th of December at The Sound House, 28 Eden Quay, Dublin 1. Auditory Recordings is an independent electronic music record label based in Dublin, Ireland. It currently operates as one of Tiesto's Black Hole Recordings numerous sublabels, Joining forces with TASTER on RTE pulse. Flying all the way from USA, Los Angeles we have super talent and 3 times Grammy nominee JES who will sing and dj for us. We bring legendary Marcus Schossow for a pure classic trance set. Expect to hear the sounds of "Swedish beatballs" , "Chase my rabbit" and many more major hits. Behind the decks we will have Irish national treasure and trance goddess Orla Feeney who will deliver a proper uplifting set. On the mic and dj decks we have Swedish singer, Music producer and Grammy nominated songwriter Linnea Schossow who will deliver an unforgettable performance. Irish super talented songbird from Full tilit records Susan McDaid will sing her way through the night with us. Well known irish dj and radio profile from SPIN South Wes Niall Dunne will open the night with some proper electronic music. Performed by a 65 piece Heritage Orchestra conducted by Jules Buckley. 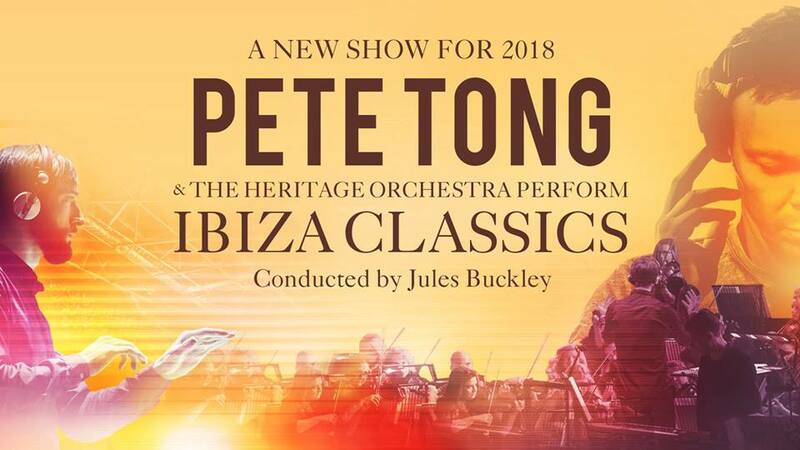 Due to demand Pete Tong, Jules Buckley, the Heritage Orchestra along with an array of guest singers and an unparalleled production comes to Dublin this November with a brand new unmissable show. This is a strictly an over 18s event and orginal photo ID will be required. Envision a world where ethereal beats and timeless melodies rescue you from the everyday and transport you to a higher state of consciousness. 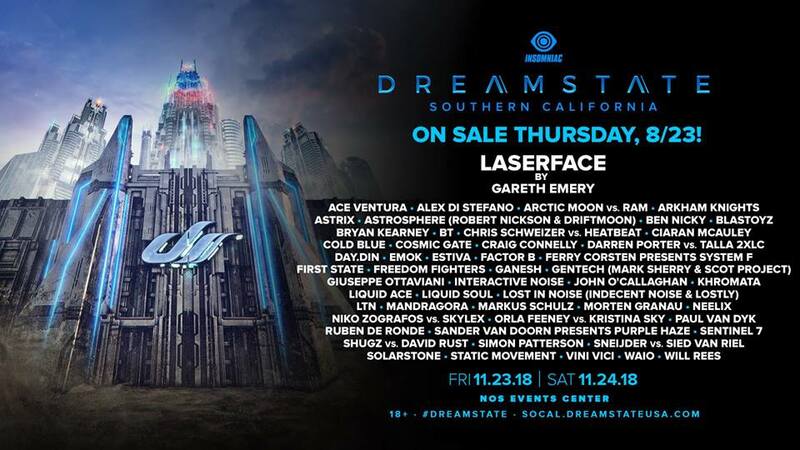 Welcome to your trance destination with time travelers, space walkers, and extraterrestrial beings, these will accompany you on your journey through the vast dimensions of Dreamstate. In this place, we affirm that we are kindred spirits bound by deep passion—not only for the music we love, but for the community that surrounds it. That community is why we are here. You are the heart of Dreamstate. YOU are the Headliner. John O’Callaghan alongside the two biggest rising stars in Trance Music. 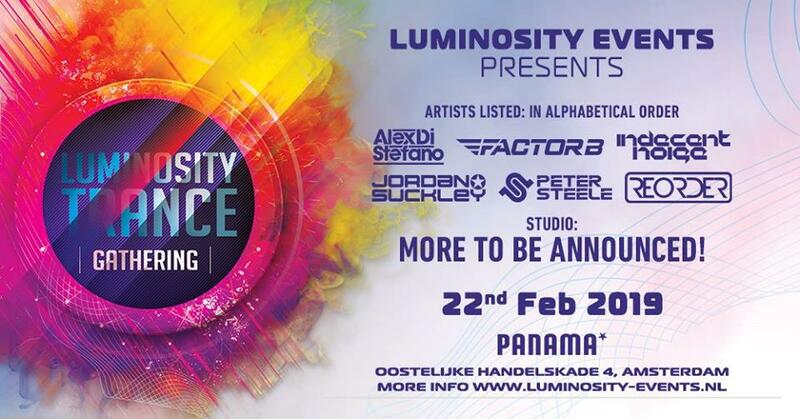 It's a powerhouse Trance line-up that's not to be missed. Cool Discs, Foyle street Derry city. Some may know John O’Callaghan as a Dance music icon, some may know him by his initials “JOC” and then there are others who only know his music. It’s obvious even to a newcomer or trance enthusiast that John O’Callaghan’s talents far exceed that of just an uplifting producer or Trance remix master. He is an artist, producer, DJ and an internationally respected name in the world of Electronic music. He is known for pushing the boundaries of musical genres in ways that have earned him a stellar reputation across the dance music industry. 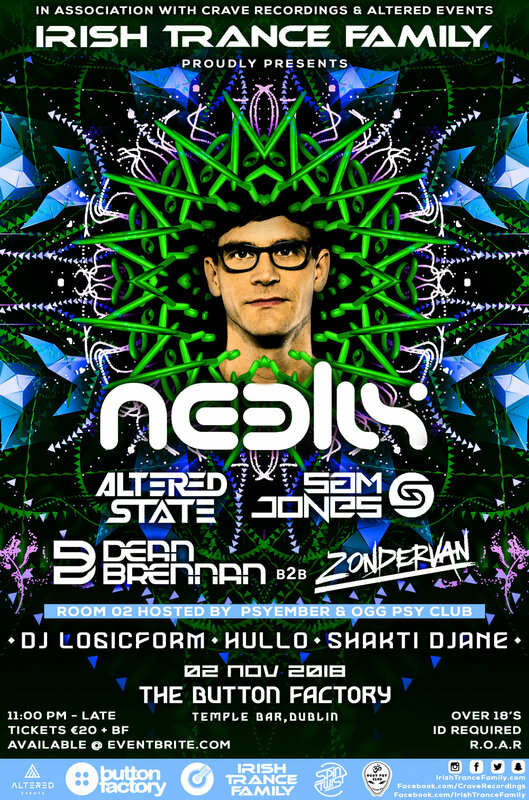 John O’Callaghan always showcases true diversity in his sound, and has emerged as a leader of the trance movement – a path which all of his fans have loyally followed. Being one of the few that helped shape the genre into all it is now, no one can doubt the influence of a man this versatile. On Saturday September 29th, we know exactly where lovers of the Future Sound of Egypt brand will be – or wishing they were. Two years after the successful FSOE 450 event, Aly & Fila team up with RONG Events once again, landing the one and only European show of their ‘A World Beyond’ tour at the incredible Victoria Warehouse venue in Manchester. 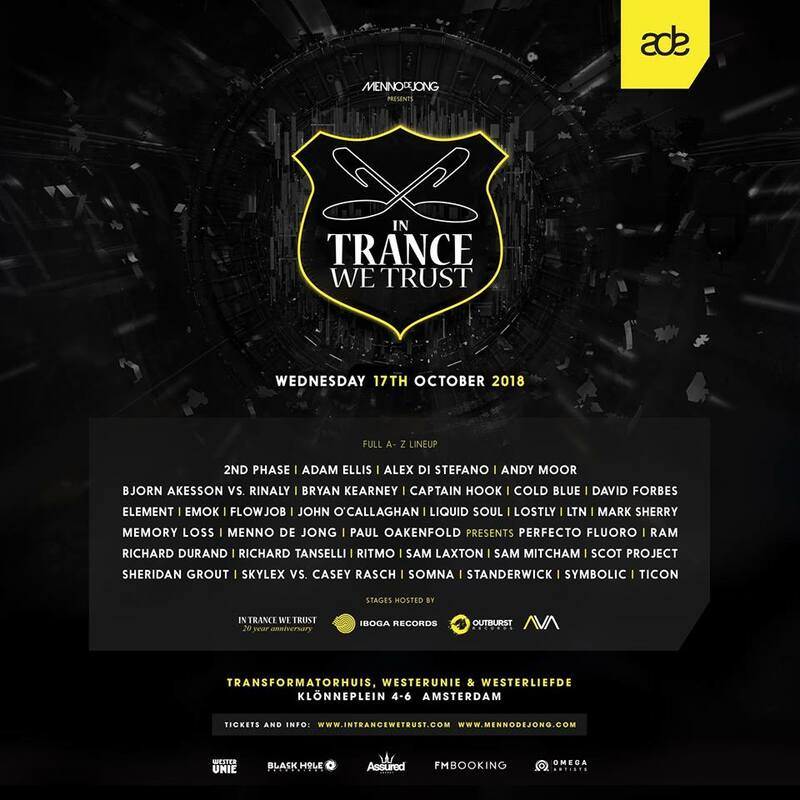 Bringing along a mouth-watering line-up of trance titans, legends and future heroes, Egyptian superstars Aly & Fila plan on making this their biggest European show yet. 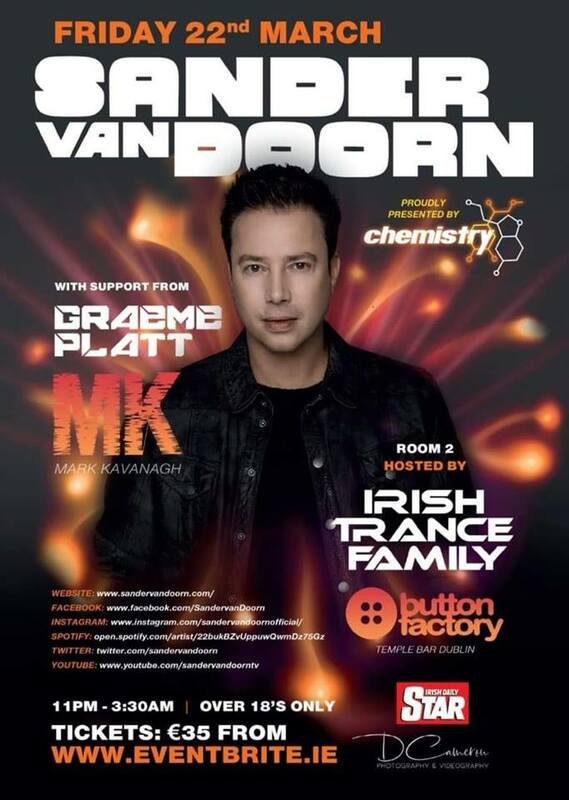 Told you we knew about the place to be for trance fans. 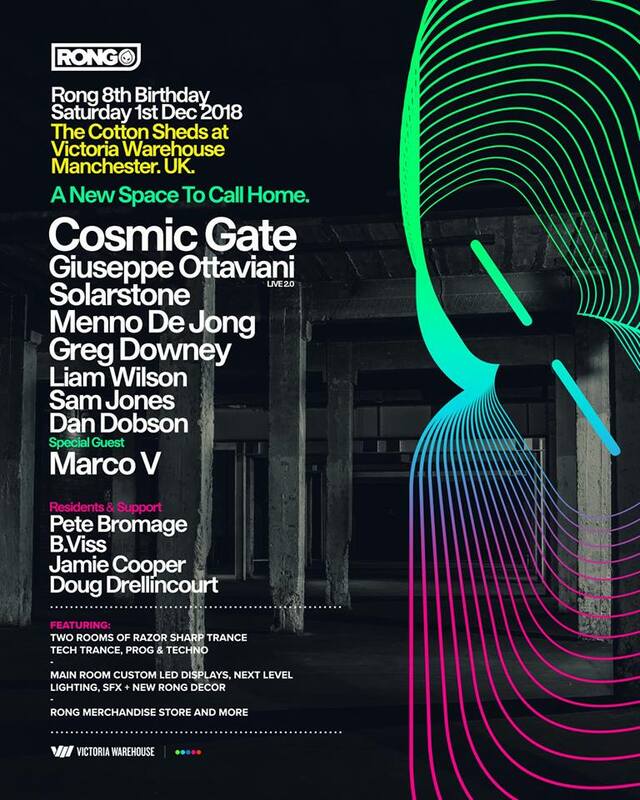 For one night, Manchester’s state of the art venue will be home to arguably the largest trance production and show in the UK. Victoria Warehouse will turn into an Egyptian dream, rocking the same, unique pyramid stage design as FSOE’s 500 show at the Pyramids of Giza. The top-notch laser, light, SFX and sound show is bound to wow the 5000 strong crowd – dancing to the likes of major trance heavyweight Ferry Corsten, John 00 Fleming, Ruben de Ronde, M.I.K.E. Push, Paul Thomas, Ciaran McAuley and many, many more. 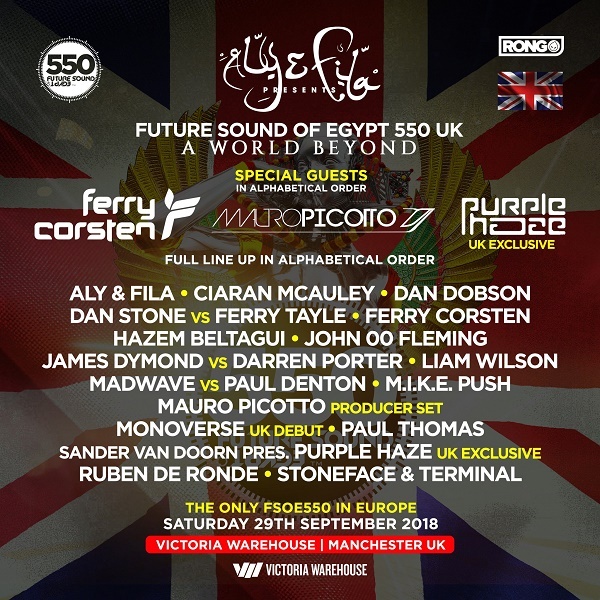 FSOE 550 UK also marks the return of the legendary Mauro Picotto, doing his first producer set back in Manchester in almost 2.5 years. Sander van Doorn brings a UK exclusive performance with his Purple Haze alias, and both Monoverse and Hazem Beltagui make their UK debut. Any Future Sound of Egypt milestone wouldn’t be complete without Aly & Fila’s Fadi gracing the decks either – so you can be sure to find him there, celebrating yet another highlight in their ever-expanding career. Standard & VIP Tickets are now on sale with the option of a payment plan from only £10 + bf deposit for standard tickets. VIP includes priority entry, Main State balcony access with private bar and toilets, entry to the official pre-party at Joshua Brooks Manchester and more. 5 DJ's on a 4 hour magical boat cruise on the River Shannon & 5 DJ's in the excellent club Ozone. This will be a memorable occasion. You do not want to miss this event!! 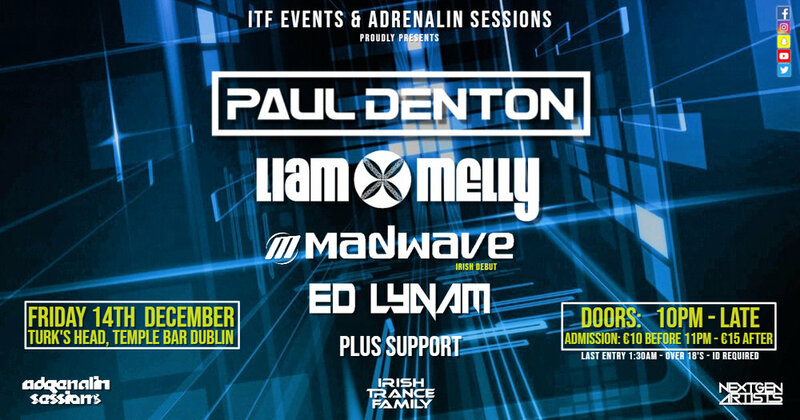 Support duties are being filled by some of the best DJ's & Producers across Ireland including some of Irish Trance Family's resident Djs. 2018 has seen Cold Blue shift up another couple of gears again. Since compiling and mixing CD2 of the latest Subculture compilation his studio has gone into complete overdrive. 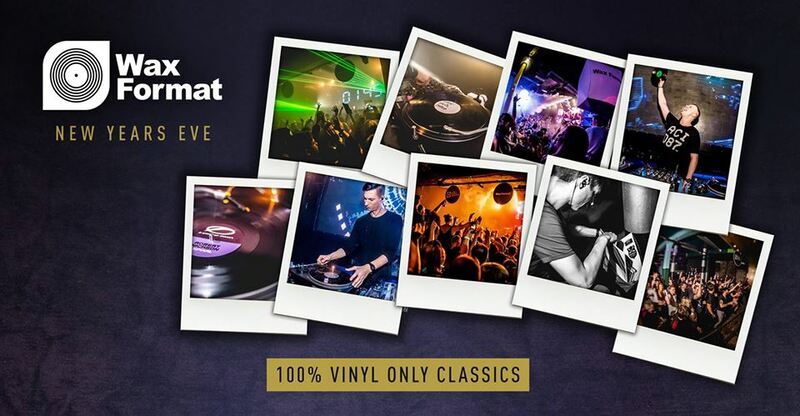 This summer big releases are forthcoming on Subculture, Kearnage and Armada. It’s these artistic capabilities that have cemented Cold Blue as a premier league artist who has a massive part to play in shaping the future of Trance Music. Paul Denton. An extremely versatile Trance DJ/Producer, who has been on fire in the studio & on the decks recently! His huge tracks are being signed to some of the worlds leading Trance labels including FSOE, Kearnage, Subculture, Outburst & many many more! Fuinneamh, m. (gs. -nnimh). Energy; force, spirit. Beneath deep Ancient forest - we dance & we celebrate to the rhythm of this lands' mystical beating heart. 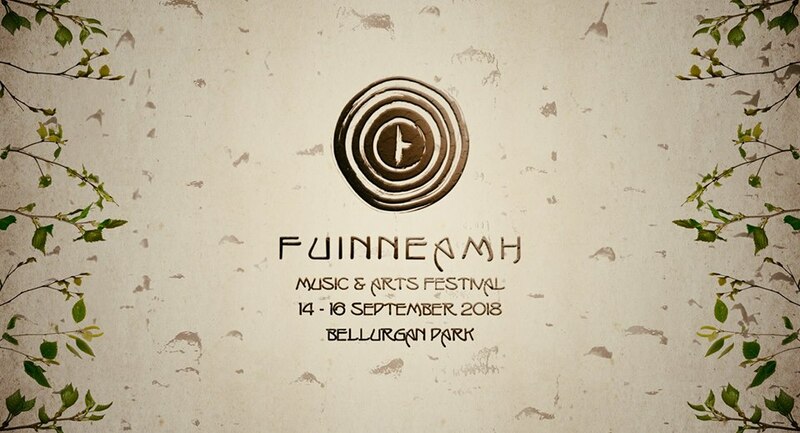 Fuinneamh Festival is back for a third year and has returned to the original magical location of Bellurgan Park. 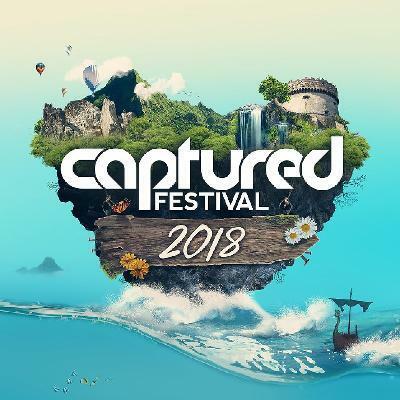 Some of Ireland’s most talented Musicians, DJs, Producers, Artists and Performers collaborate to bring you a Festival of psychologically enthralling wonder and beauty. Become a part of this story with us. Grá, Rithim agus Athrú - Love, Rhythm and Change. With our biggest and most diverse line up to date, we cant wait to reveal what we have in store. With the perfet wonderland setting, sun drenched beats and some of the biggest names in Trance + Progressive, its going to be one incredible event. The countdown to September begins! 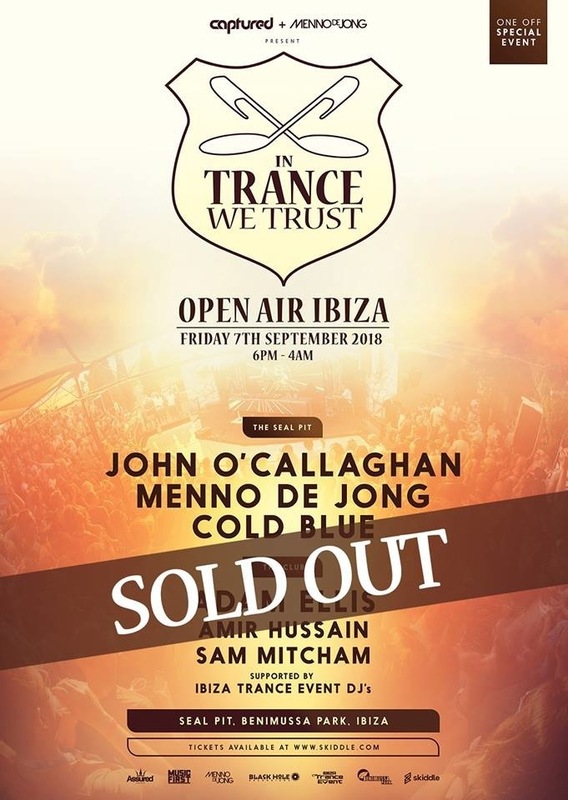 As part of the Captured Weekender ticket, Captured Festival are pleased to present In Trance We Trust Open Air Ibiza on Friday 7th September in the incredible Seal Pit of Benimussa Park. 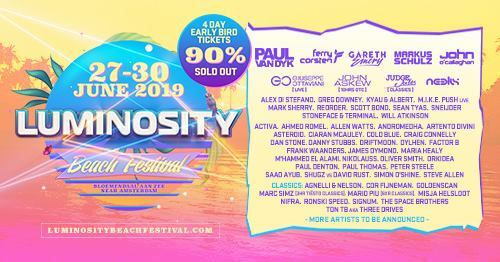 LIMITED TO 500 TICKETS, THIS VERY SPECIAL SHOW WILL SELL OUT..
11 years ago, we started as Luminosity at the Beach in Beach Club Riche, Zandvoort! Back then, we were very excited to watch your happy faces and now 11 years later, we still see you happy dancing at our events. For the sake of the good old times, we will host a very special intimate event at our beloved venue Beachclub Fuel in Bloemendaal! Twenty years ago something special was born in Irish clubland with the first ever licence being granted for an outdoor multi-arena music festival. With that, Planetlove. was born, and with it, the foundations of the dance music scene in this country which has since grown into a force to be reckoned with globally. Thirteen Planetlove festivals were held annually at four Northern locations, most notably Shane’s Castle, Antrim. The festival attracted the who’s who of the dance music world to its many stages, including Armin Van Buuren, Paul Van Dyk, Eric Prydz and Carl Cox to name literally just a few. BBC Radio 1 broadcast regularly from the festival and to mark its 10th birthday in 2008 the Northern edition expanded to two days, including the world's number 1 DJ at that time, Tiesto in concert. And of course the story would be incomplete if there was no mention of the Planetlove Winter Party series at King’s Hall, Belfast, on Boxing Night which was what legions of clubbers really deemed as the highlight of Christmas each year! 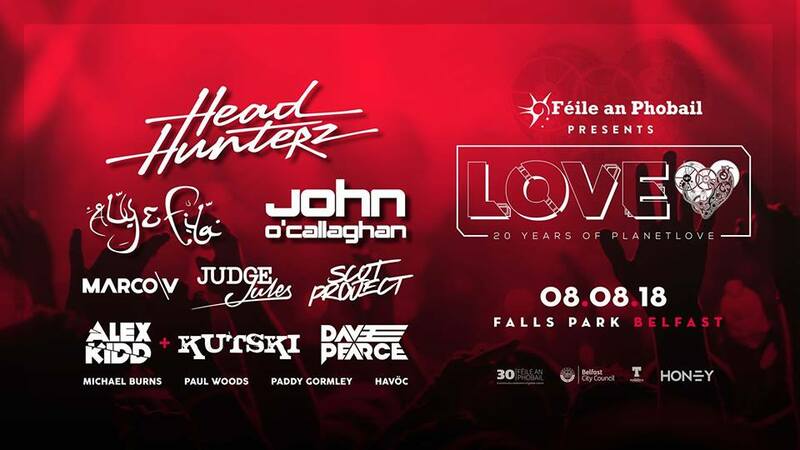 To the 150,000+ people who attended Planetlove events, we’d like to extend a huge thanks for 20 years of your love and with a special shout to Feile An Phobail, we’d like to say a BIG THANK YOU - as this one’s FREE! The initial ticket allocation will be released on Thursday 28th June between 7pm and 9pm, exclusively from the Feile an Phobail Offices at 141- 143 Falls Road Belfast BT12 6DD. These will be allocated on a first come first served basis. A maximum of 2 tickets per person. A allocation of tickets has been reserved for Planet Love Page. This will be released on Friday 29th June at 9am. No Photocopies, no out of date ID.